The luxurious interior comes with Sat Nav as standard, kitted out with fine leather and a curved instrument panel to finish off the look. The TwinPower Turbo six cylinder engine provides the power to truly do the Z4 justice. Auto start-stop, 8 speed automatic transmission and brake energy regeneration are all included too. The electric power steering is activated when needed, aiding the driver only when required the most. As always BMW takes safety as its most important factor and the BMW Z4 is no different. Intelligent emergency call, high beam assistant and the usual airbag features are all included. The BMW ConnectedDrive system allows you to access all you need including social media, navigation, music and more. All from a stylish console unit and screen. Adaptive M suspension, sports mode and a 7 speed sports automatic double clutch transmission make this an enjoyable ride no matter what the length of the journey is. 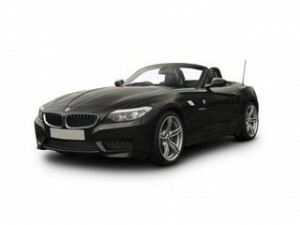 See how much you can save on a new BMW Z4 today, we work with a panel of dealers who have access to great deals online. What’s more you can even choose the spec of your new car first, then let us take care of the rest. And don’t worry about any future issues, we can even recommend the best Panel Beaters to you.